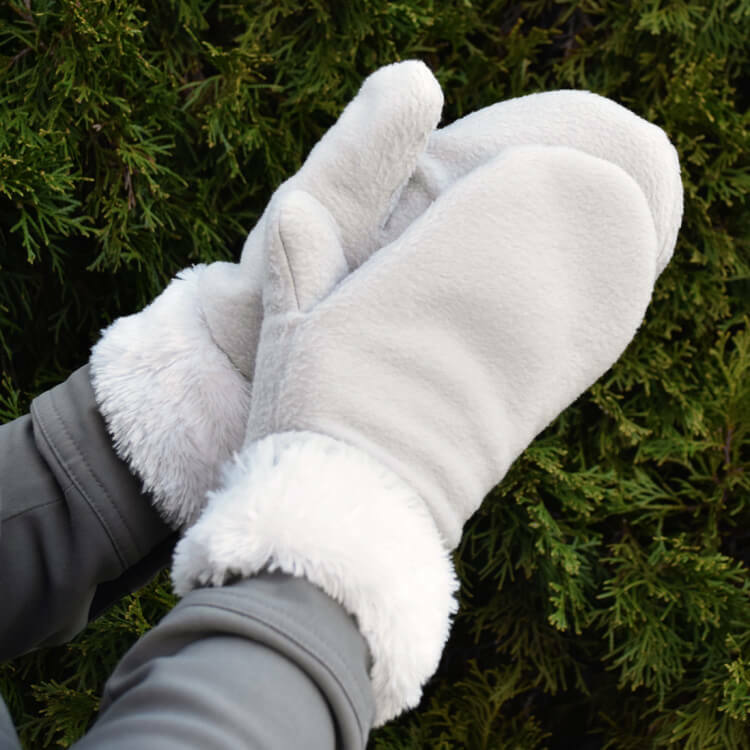 These fleece mittens have a super soft bear skin faux fur lining that makes your hands feel warm and cozy. 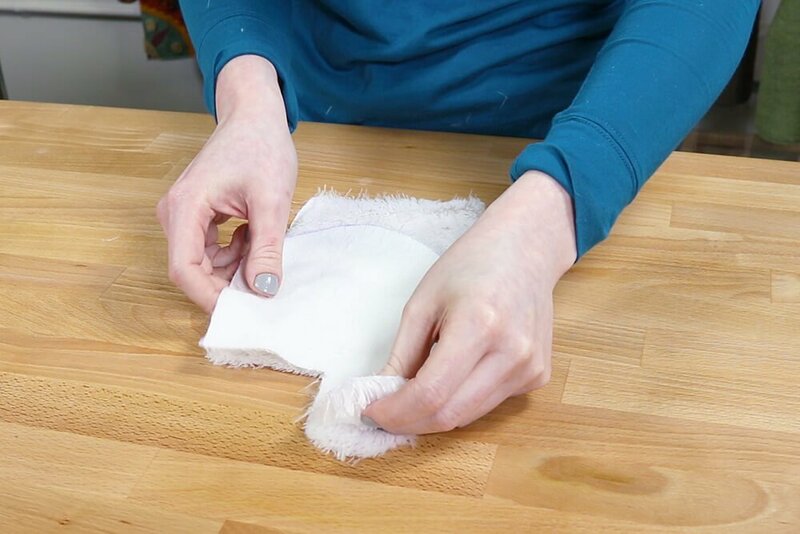 You can also use smooth minky, sherpa minky, or another layer of fleece as a lining. 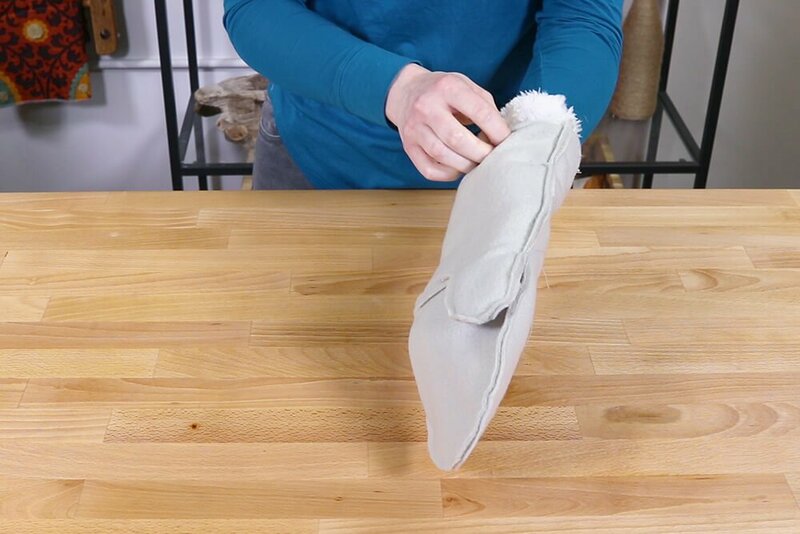 This is a quick and easy project that’s great for gifts for children and adults, especially when paired with a matching fleece hat! 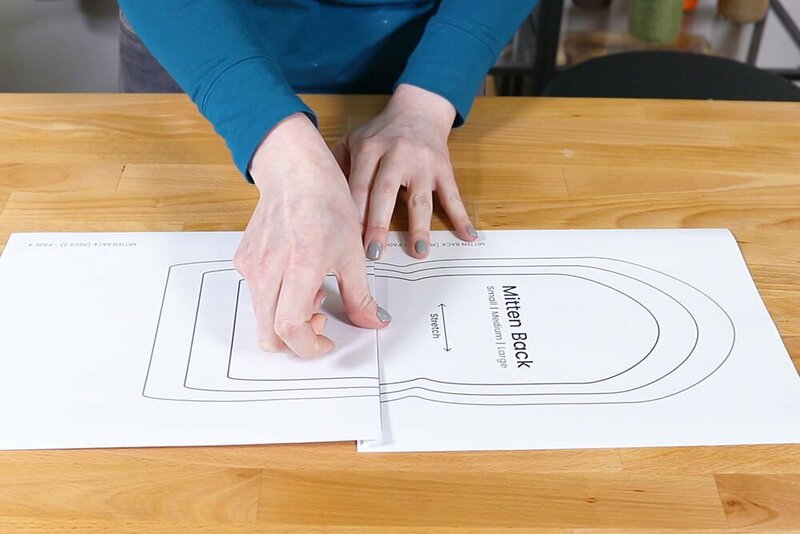 Print, tape, and cut out the pattern pieces. I’ve done a small, medium, and large, but if you need them to be smaller or larger, it’s easy to use my lines as a guide. The front of fleece looks a little more plush than the back. If printed, the back looks more blurry. 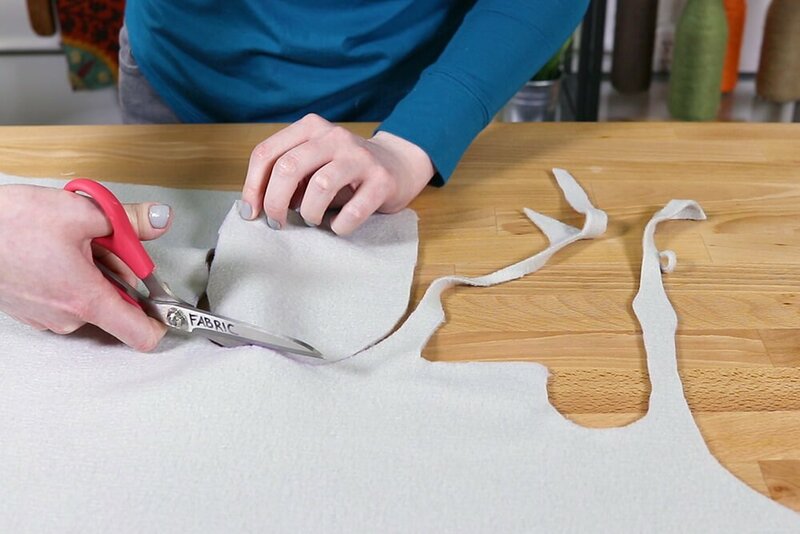 Lay out the fleece with the wrong side up. Stretch the fleece both ways to figure out which is stretchier. Place the pattern pieces accordingly. Trace around the mitten back piece, the upper front piece, and the lower front piece. Cut them out. 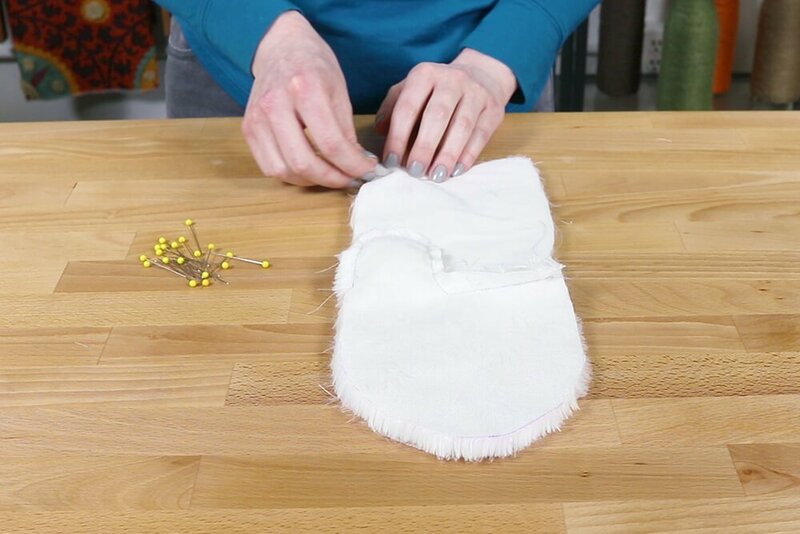 Lay out the faux fur with the wrong side up. 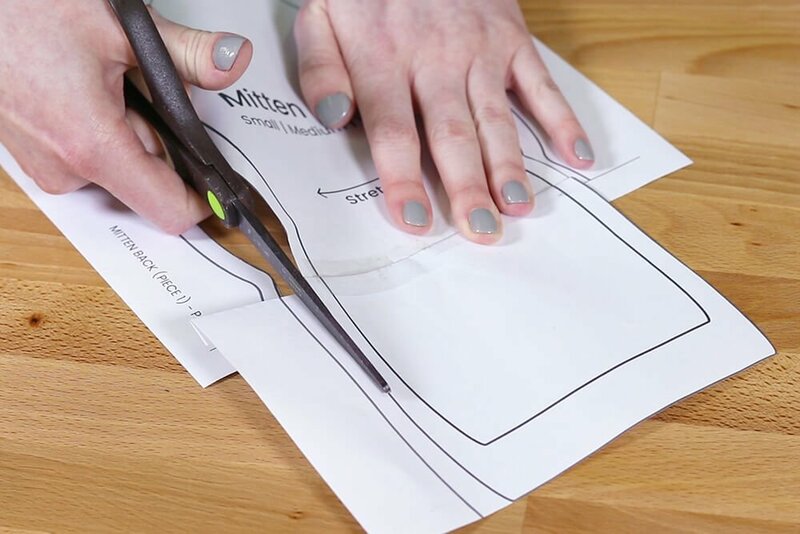 Flip over the pattern pieces and trace. 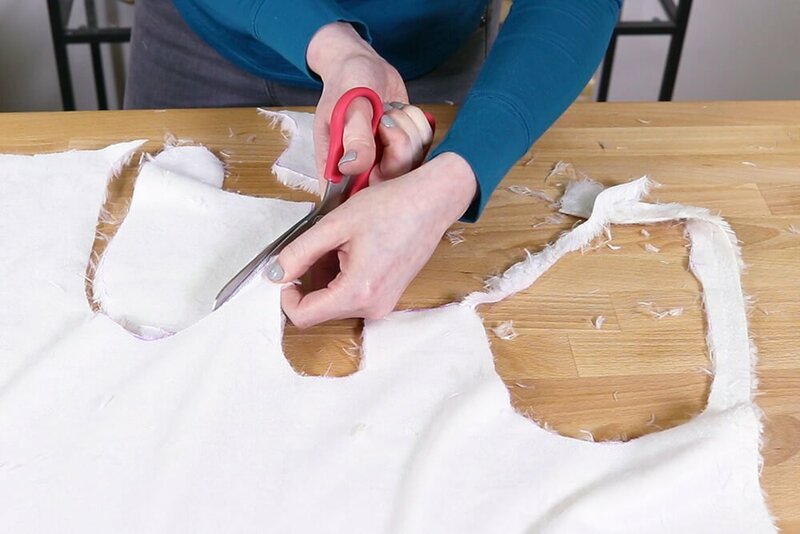 When cutting out the faux fur, try short snips to avoid cutting the pile too much. 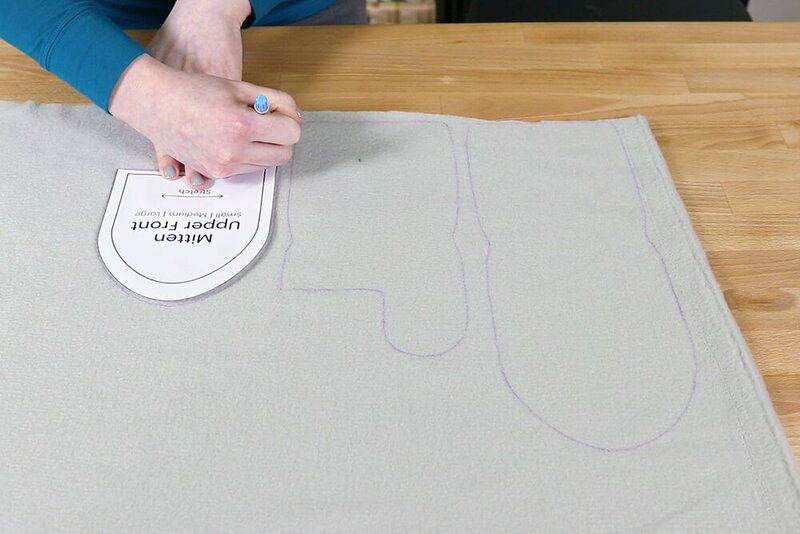 Pin the upper and lower fleece fronts together with right sides facing so the thumb lines up. 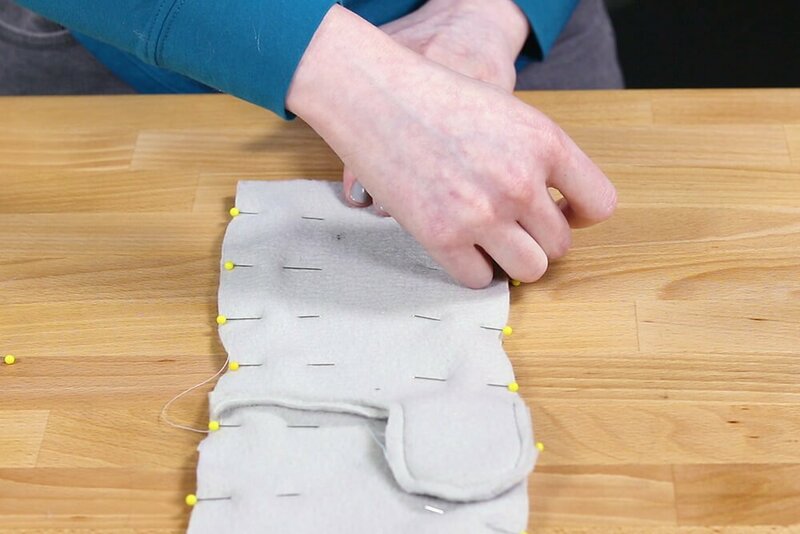 Sew across what will be the palm and around the thumb with about an 1/8” seam allowance. Stop when you’re even with the palm line. Backstitch at the beginning and end. Pin the front and back pieces together with right sides facing. 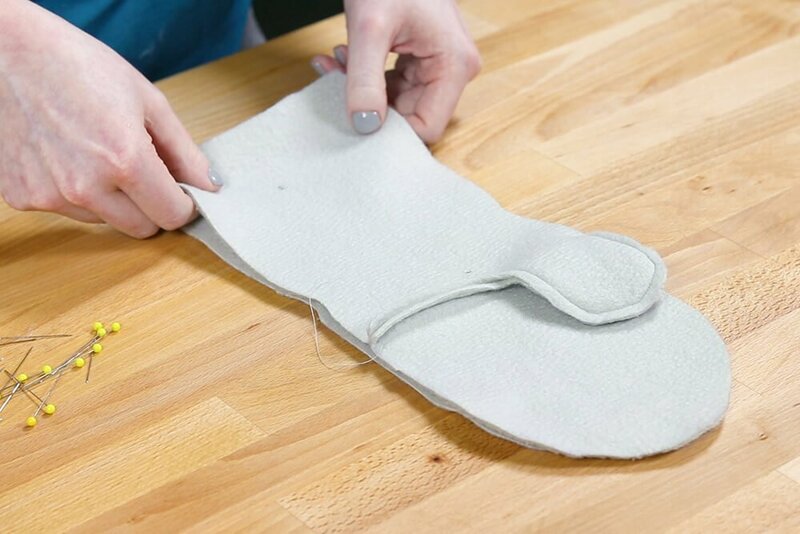 Start from the bottom and sew around until you get to the thumb. 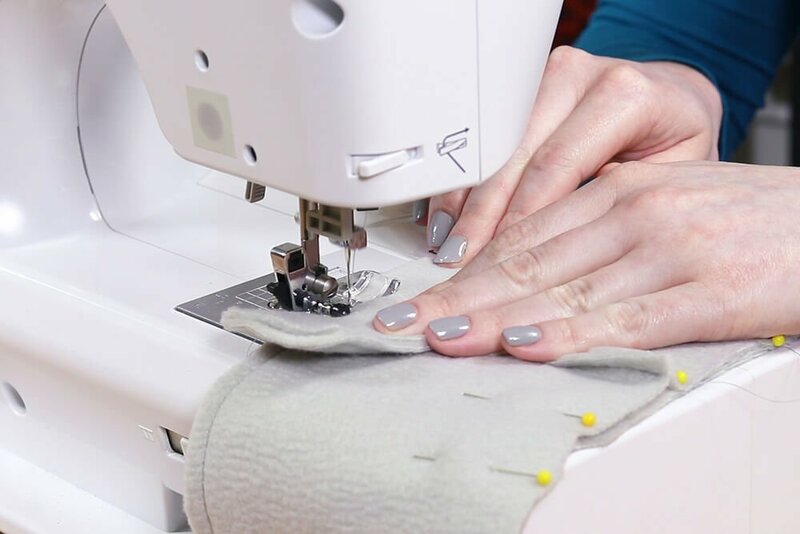 Flip the thumb and start new stitching on the other side. Continue until you get to the bottom. Leave the bottom open. 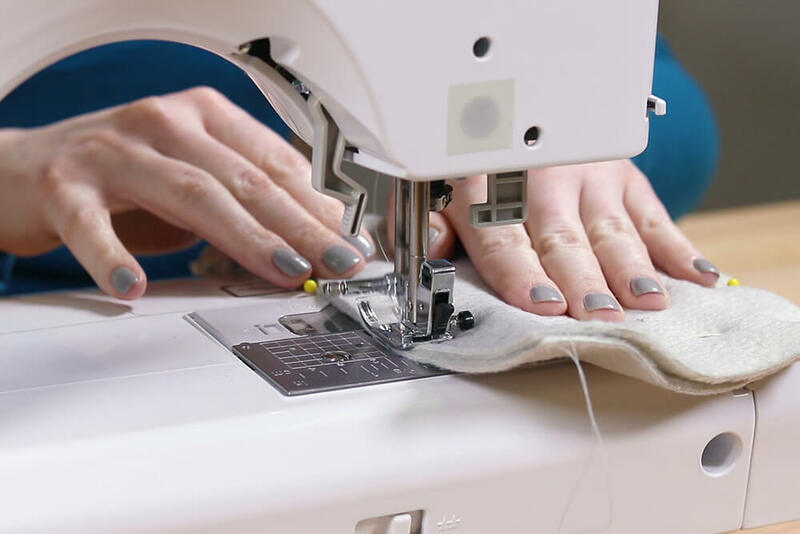 Repeat the same steps for the lining. 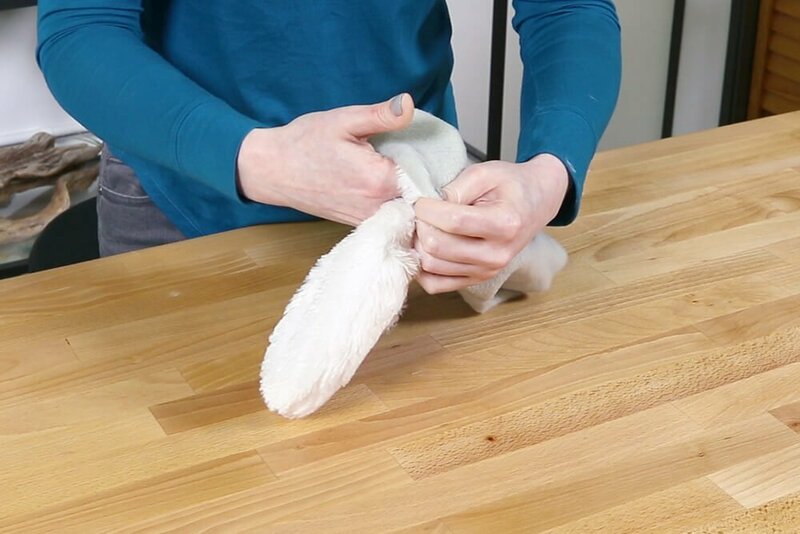 You can use a pin to pull out the pile that gets flattened in the seam. 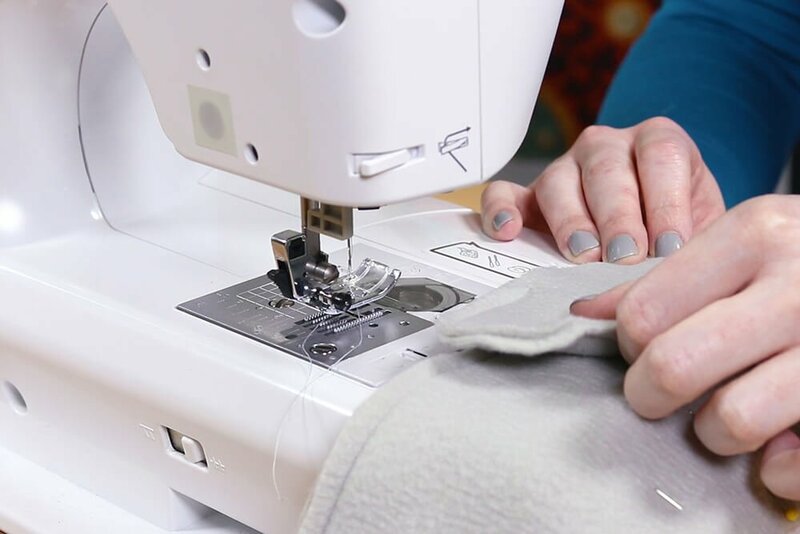 Turn the lining right side out. 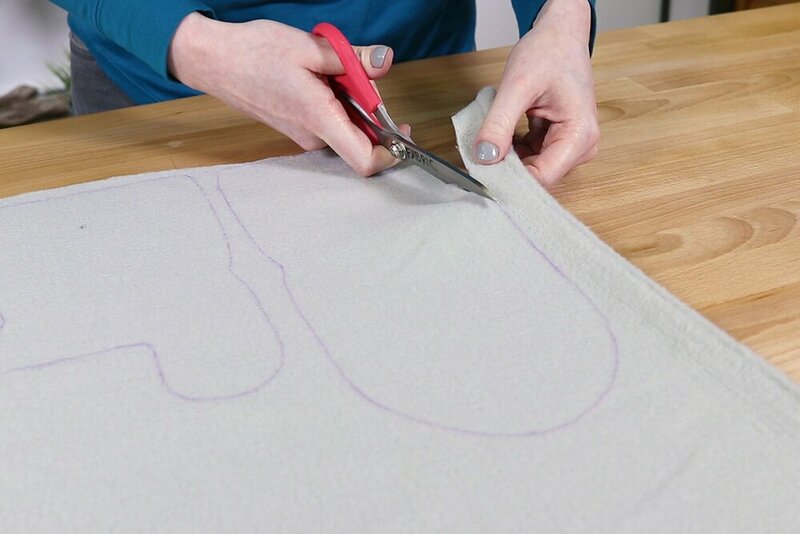 Slip the lining into the fleece and pin around the bottom. 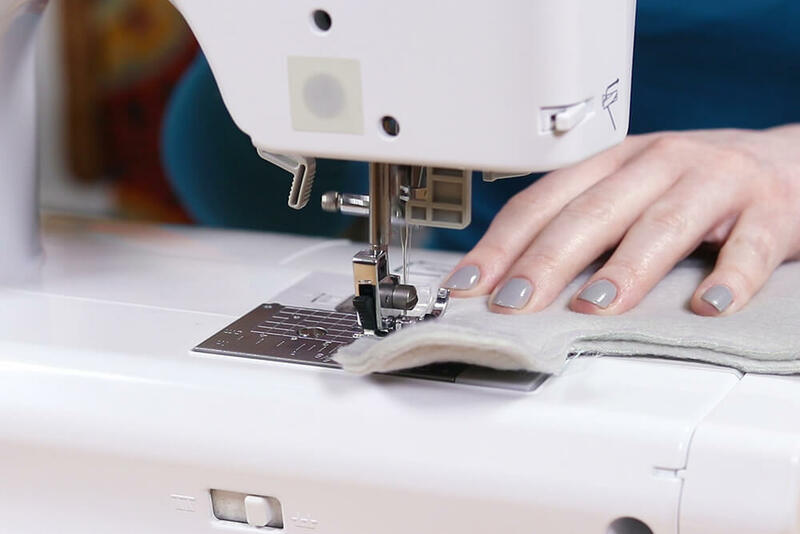 Sew around the bottom with a ¼” seam allowance. Leave a gap of about 2 or 3 inches. 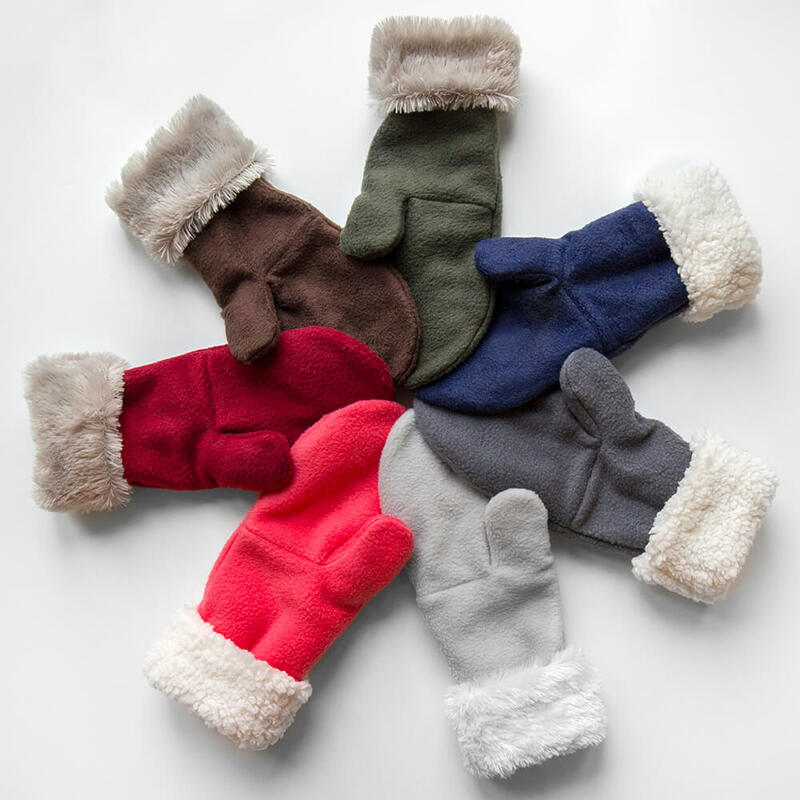 Pull the mitten through the hole. 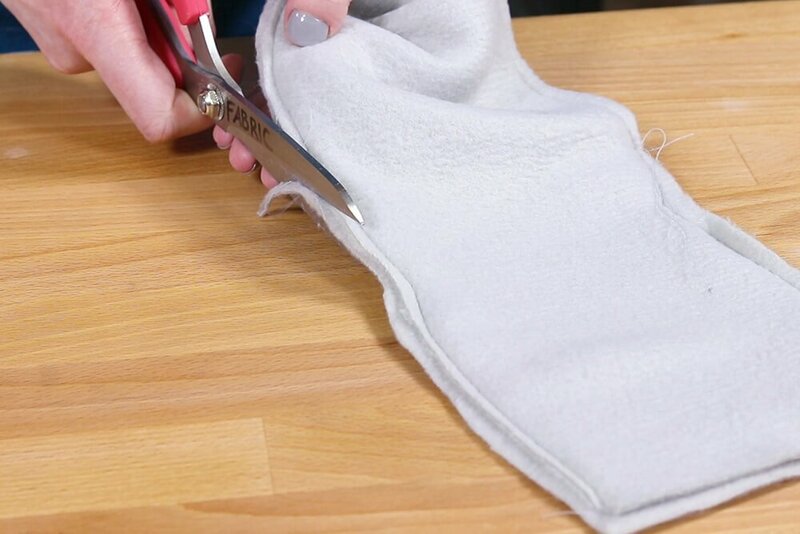 Fit the lining into the fleece. 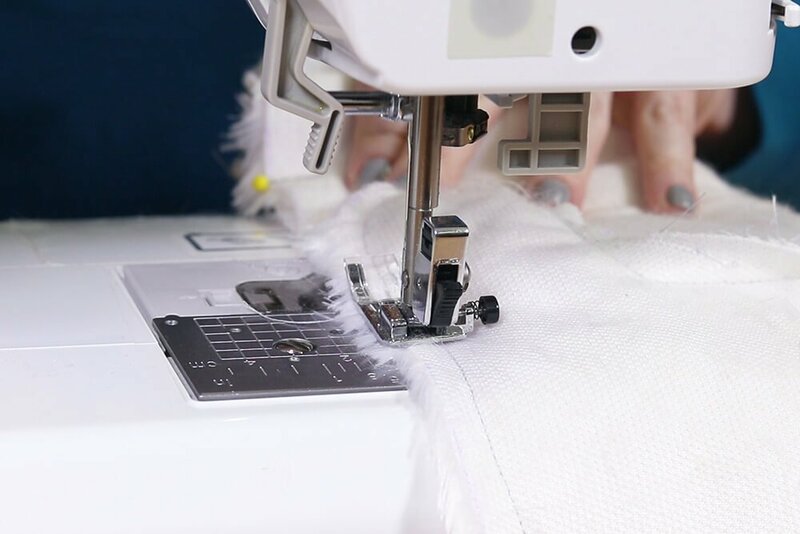 Hand sew the opening shut with a hidden stitch. 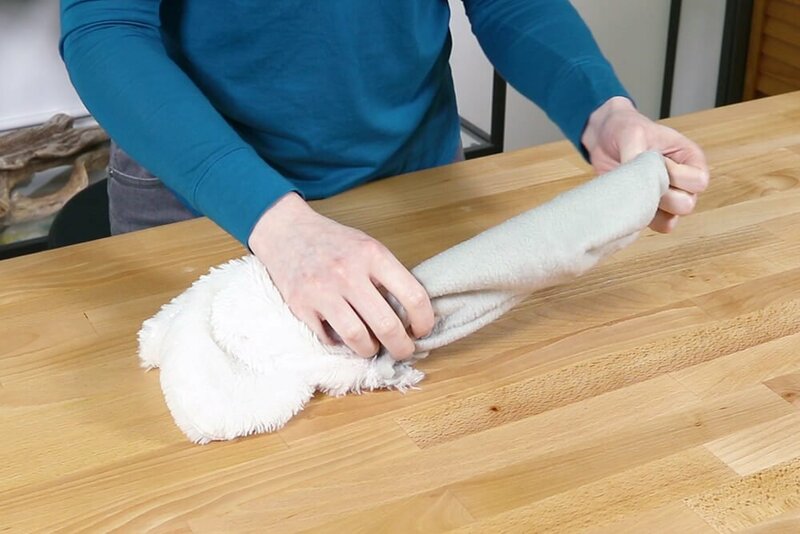 Fold the bottom up to where you want it. You could tack in place with a few stitches, but I like to keep it adjustable. 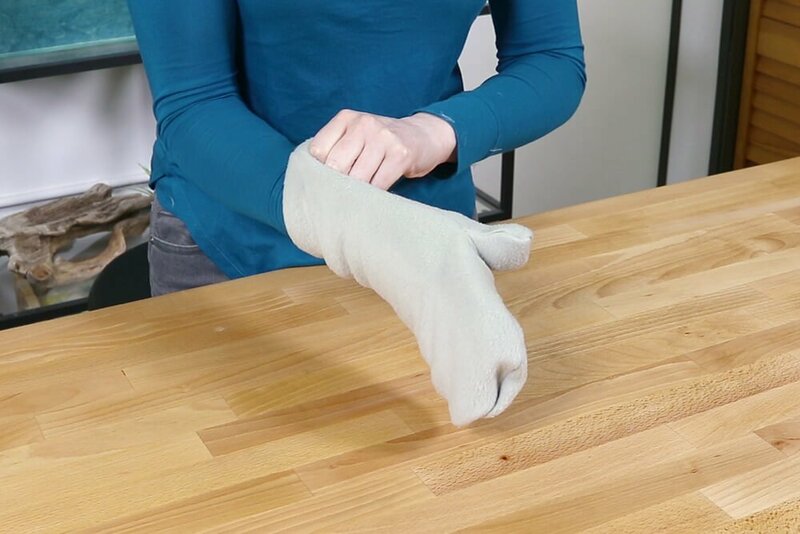 This way you can even unfold it all the way so there’s no gap between the mitten and your jacket sleeves. 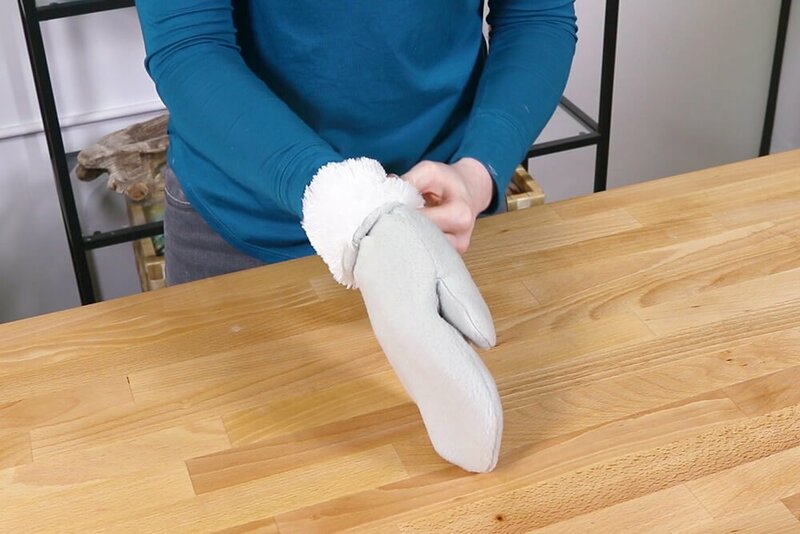 Repeat these steps for the other mitten, just remember to flip the pattern pieces the opposite of how you had them the first time. So the pattern pieces should be flipped to the back for the fleece and they should face up for the faux fur. 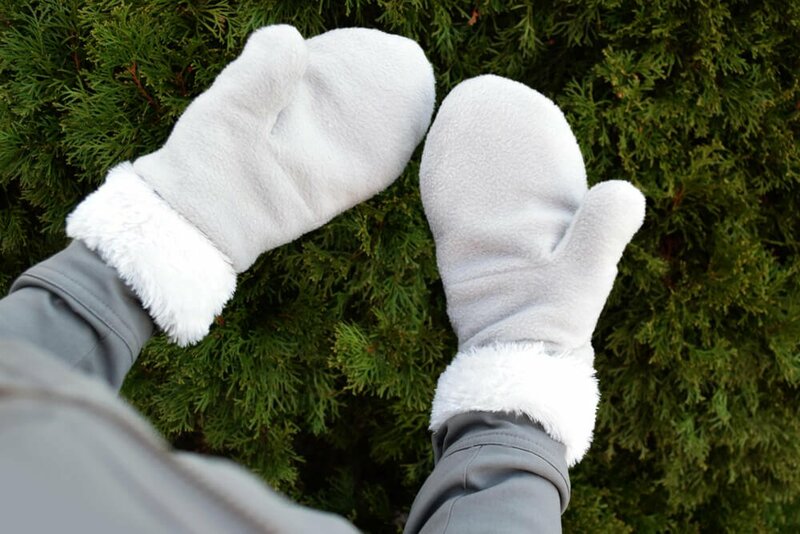 Find fleece in many colors and patterns here! the fleece hat pattern and kitten patterns are not downloading for me! I just get a blank gray page:(. Can you email it to me? BEST ANSWER: There is a blank gray page while it loads, which may take a little while. 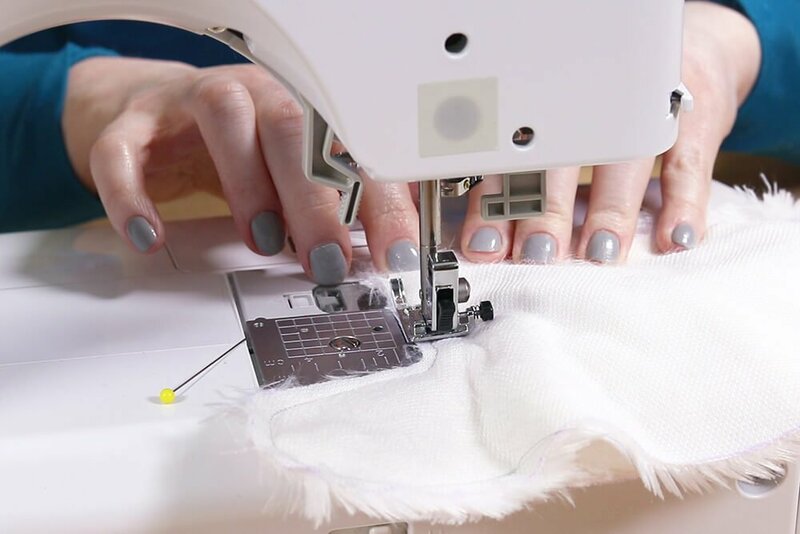 If it's still not working after waiting a while, you can email us at makersmill@onlinefabricstore.net. How do the sizes compare to age of child and size for adults? BEST ANSWER: The medium and large are good for adults. We don't have an age range for the children's size. 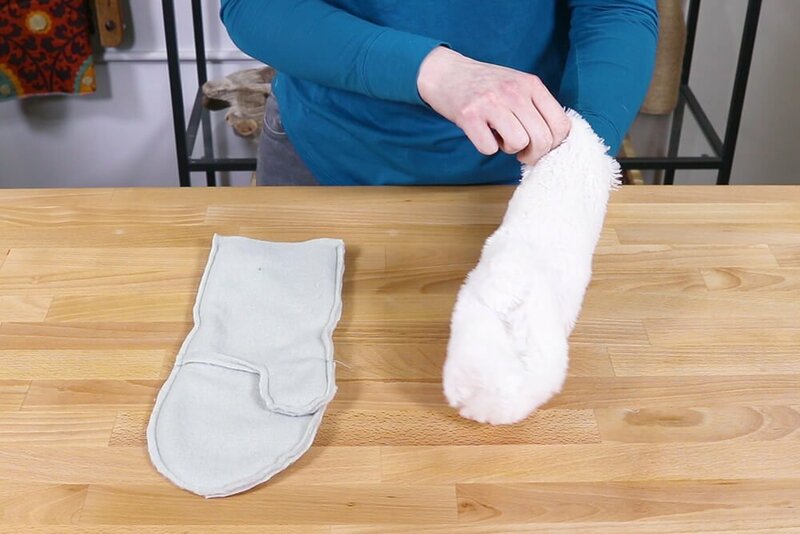 We suggest sewing the fleece together on one mitten to judge if you need to make it larger or smaller. 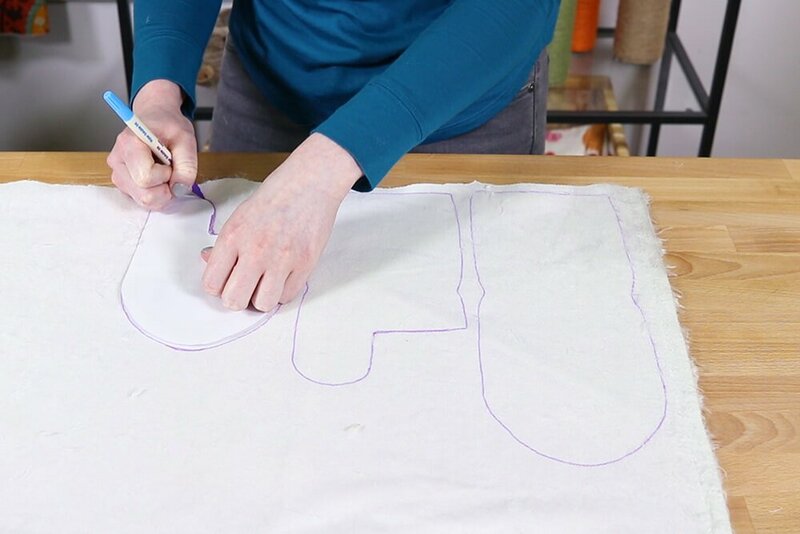 You can draw outside or inside the lines on the pattern to adjust the size. 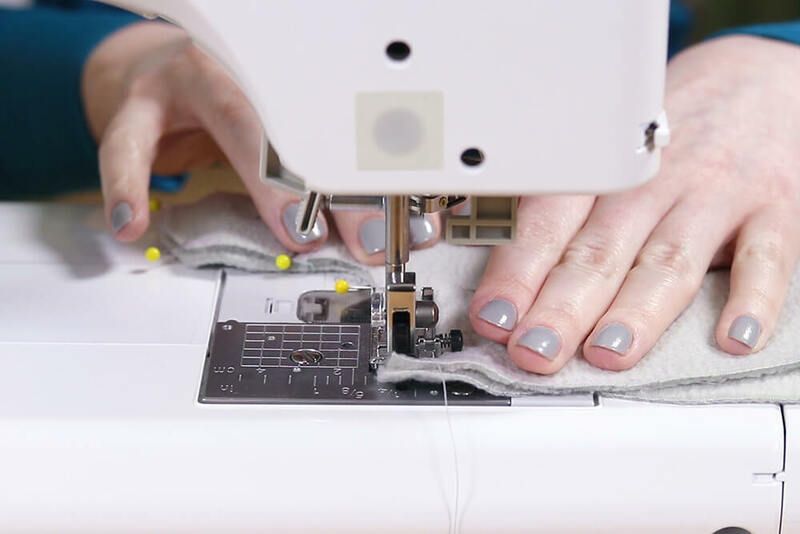 But you won't want to make the thumb too much narrower than it is on the size small. 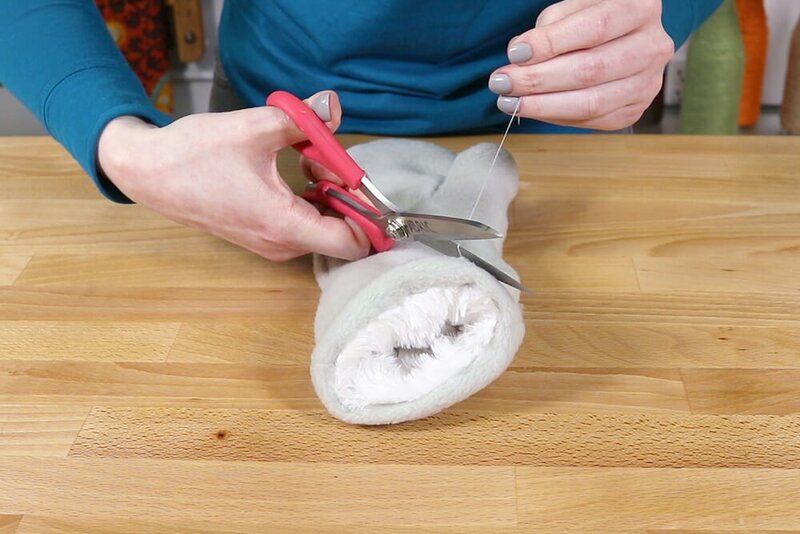 Can’t find anywhere it tells how much fabric is needed to make the fleece mittens How much per mitten? BEST ANSWER: You can get 2 sets of mittens out of half a yard. 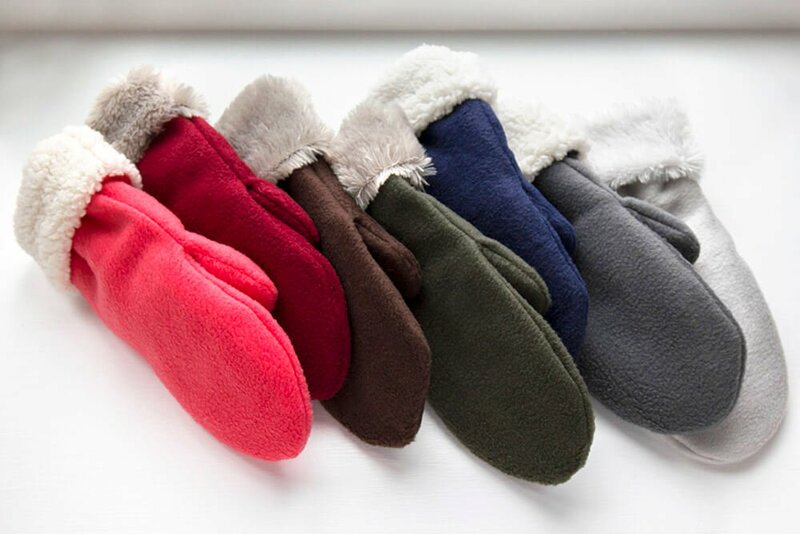 Not a question just a comment...these mittens are wonderful! Thanks so much for sharing! I made the palm and inside of the thumb out of soft leather and I love them. Wish I could include a picture but this is not an option. ? BEST ANSWER: Thanks for commenting! 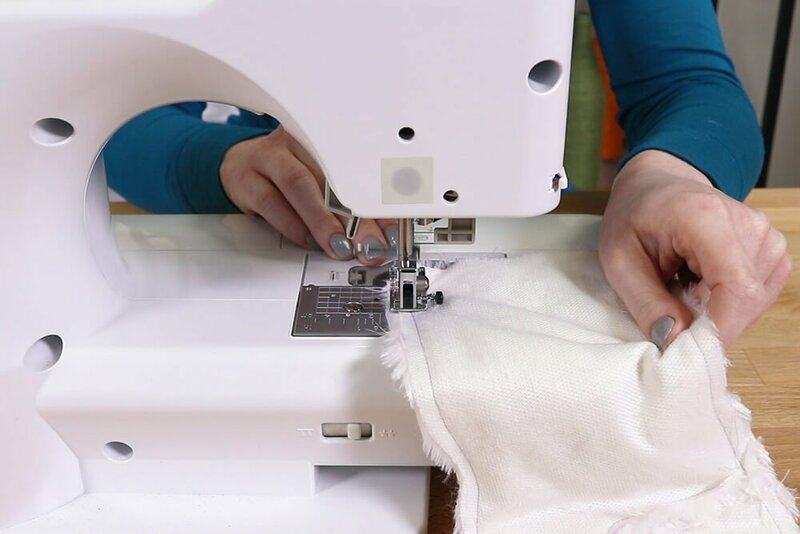 Uploading a photo isn't currently an option, but you can email it to us at makersmill@onlinefabricstore.net. We'd really love to see them! We may want to add them to the end this post so other people can see too.